It's that time of year again! Be sure to use your benefits before you lose them! This year is coming to an end and we want to remind everyone to use your benefits before you lose them! We had a great turnout for our Grand Opening! 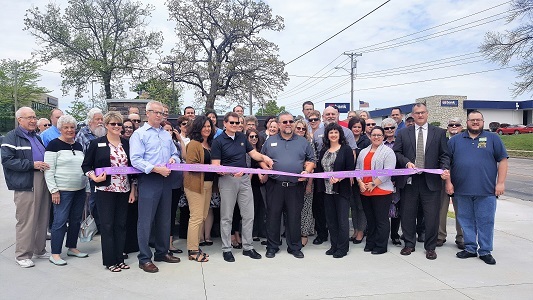 Thank you to everyone who had a chance to stop by and check out our new facility - it was wonderful to see all of you and we enjoyed spending time with you! If you didn't have a chance to stop by, feel free to stop by anytime and we would love to show you around! We have moved to our new building! It is located just on the other side of Fashion Avenue, to the right of our previous office, at 608 N. Maguire Street! Our new office building in Warrensburg is coming right along! 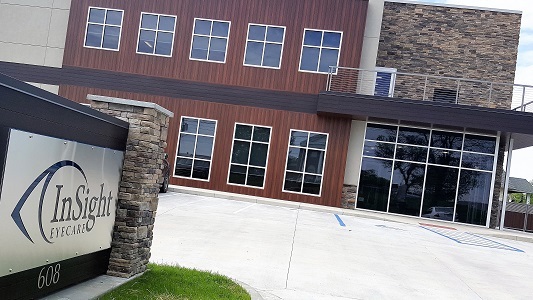 Located just on the other side of Fashion Avenue, our new office will provide our doctors, staff, and patients with some much-needed space and will help to maximize the experience within our office! As our current patients may already know, make shift rooms have been added throughout the years and we have been forced to utilize part of our research area in the basement for instruments used to detect and monitor ocular disease. Our new office will allow for all of your services to be completed on one level! And parking... all of our patients know that parking has always been a concern with our current office. With the new office, we will have enough parking to accommodate all of our patients without having to climb a hill! And... you won't have to fight traffic leaving our office anymore because there will be an entrance/exit on East Oak Street! Be sure to like us on Facebook to stay up-to-date on the latest progress of the new office building and check out our YouTube Channel for our video updates! We are excited to announce that we are in the process of breaking ground for our new office! Due to your trust, loyalty and the referral of friends and family to us, we have grown at an exciting rate. In order to continually meet and exceed your eye health care and vision needs, we need to expand our office. Our current office will be open throughout the duration of this process. And, don't worry, we are only moving half a block from our current location! We anticipate completing the facility at the end of this year. Be sure to like us on Facebook to follow the progress and thank you for making our vision a reality! See what we've got going on in our 3 locations as far as new frames, displays, event pics, and patients modeling the latest and greatest eyewear! Follow us here: http://instagram.com/insight_eyecare ! And don't forget to Like the location closest to you on Facebook to get even more updates. We truly respect your time so have made it easier than ever for you to get the registration process taken care of before you visit our office for your next appointment! We are on the cutting edge of technology and helps shape the future of vision care by being a large research facility for many new products, including contact lenses, solutions, pharmaceuticals and eyewear lenses. Many of our current patients have participated in studies. Research patients typically receive complimentary products and vision care. Many studies also pay monetary stipends when the patient finishes the study. If you would like to be considered for an upcoming research study, please call our Warrensburg office at 660-747-7300.